Have you ever found yourself in a coincidental reading moment? I had 2 last Monday! My family and I were in a bookstore during a tornado while reading books with titles such as Stuck and Courage! The other coincidence is that our three special finds were books with the centralized theme of displaying different scenario outcomes for the one single situation or idea. This type of text gave my son and me an opportunity to continue a conversation listing our own thoughts long after we were done reading. While huddled away from the windows and in the dark (the power went out! ), we threw ideas back and forth, imagining other possible outcomes in the book. An experience I will never forget! I hope you don't have to be huddled in a dangerous situation to experience such moments with your child! Teaching reading strategies such as making predictions and summarizing a story can happen with most books and can happen naturally. Visualization and making connections are a lot more fun when engaging the reader to contribute to the author's ideas. Certain books allow this to happen. Here are three great ones we found while taking shelter! 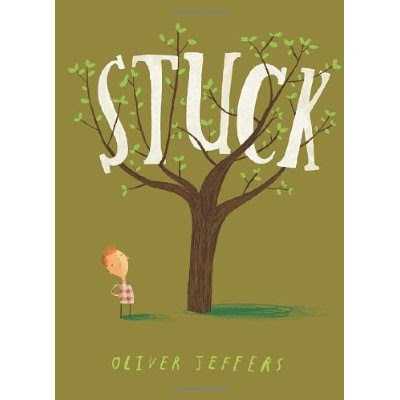 Stuck by Oliver Jeffers is a simple yet very silly story of Floyd's kite getting stuck in a tree. He throws a shoe at it to get the kite down. The shoe gets stuck and...the list of Floyd's crazy ideas to get his kite down goes on and on. At the end of the book, Diego and I talked about what we would have done in that same situation. Although more reasonable ideas came up, we had a great laugh at making other silly stuff up too. 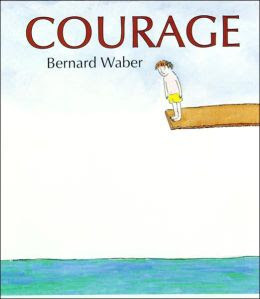 Courage by Bernard Waber not only gave us a child's perspective of what is courage but we also read what a typical grown-up and even what a pup considers courage to be! 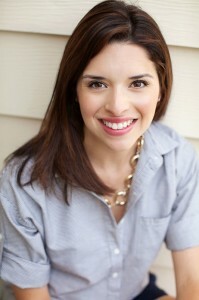 One of my favorite descriptions of courage was, "Courage is deciding to have your hair cut." Another thoughtful one, "Courage is admiring (flowers) but not plucking." We got to read about the big ones too, like a firefighter's courage or being the first one to say "I'm sorry." Talking about this character trait taught me a lot about my son's fears and his discovering what I find to be courageous was invaluable too. The World Belongs to You by Riccardo Bozzi was a lot more sweet and serious than the other two books just mentioned. Nevertheless, the conversational theme continues. With this book, we found a lot of opportunities to compare and contrast. "You are free to be happy" is one of the messages in the book and it is illustrated with shapes that form an ice cream cone. On the opposite page, the shapes are distorted, showing the spill, with the text, "but it won't always be easy." A coming-of-age book and a perfect gift for any child reaching a milestone, this book gave us countless opportunities to discuss how the perfect scenarios can sometimes come to an end. Bravo to books for keeping us distracted and occupied during a scary time! Adding our own ideas to the authors' wonderful books was a lot of fun and allowed us to sit tight and listen to each other's ideas. I loved the creativity behind all the discussion! Encouraging reading during the summer months is very important. The "extras" you do with your young students are a guaranteed bonus for the child's reading development and their creativity. The quality time spent is priceless too! Take a few moments after reading with kids to see what else they have in mind. You might find ideas that will make you wonder, why didn't the author think of that?